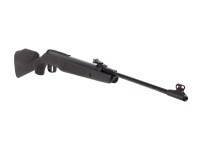 The Diana Panther 350 N-TEC Magnum air rifle is one of the more powerful gas-piston-driven airguns on the market today. The innovative N-TEC gas ram reduces the twang, and the spring vibration is eliminated. The enhanced T06 trigger is a 2-stage adjustable trigger that makes your shooting experience a pleasure. 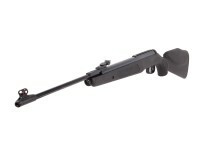 For such a lightweight airgun, this Diana model is exceptionally powerful. Things I liked: well made, precision,powerful. Things I would have changed: Secure stock to rifle better. What others should know: I added longer forearm stock bolts to the 350 n-tec panther. I went from the standard legnth of 10mm to 12mm and added a nut to the inside which does fit but there is no room for a lock washer there but it does provide the same tension as double nut scenario. I snugged it slowly continually between shooting being careful not to over-tighten and eventually the screw and added nut withstood at this point 50 shots without loosening. I ordered theses hardened nuts and bolts from Bolt Depot. Now I am working on securing the site screws as they loosen as well. What others should know: This is not a toy. Watch the back drop over shoot area. Things I liked: The rifle has great balance, power and can be very precise. Beautiful lines , the blueing is superb. As for power it surpasses the Diana 460 , this gun is quite capable of bringing down raccoons or fox. I would have loved to give it a five star rating in all categories but for the need of having to professionally tune the gun. Things I would have changed: It has some serious issues with the screws coming loose and the top hat of the nitro piston shaft is too small for the piston head which makes it wobble. The open sights on my gun were useless. Rifle shoots very well with a scope, but needs the utg weaver mount to compensate for droop. 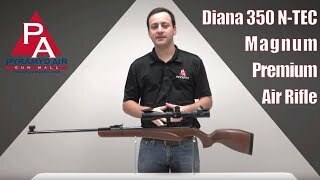 What others should know: It can be a great gun properly tuned but it seems like something happened at Diana and they cut corners in R&D in a rush to put a Diana nitro piston on the market. 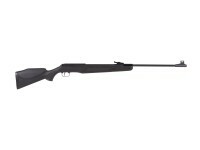 I had mine expertly tuned and it turned out to be a fantastic hunting rifle. 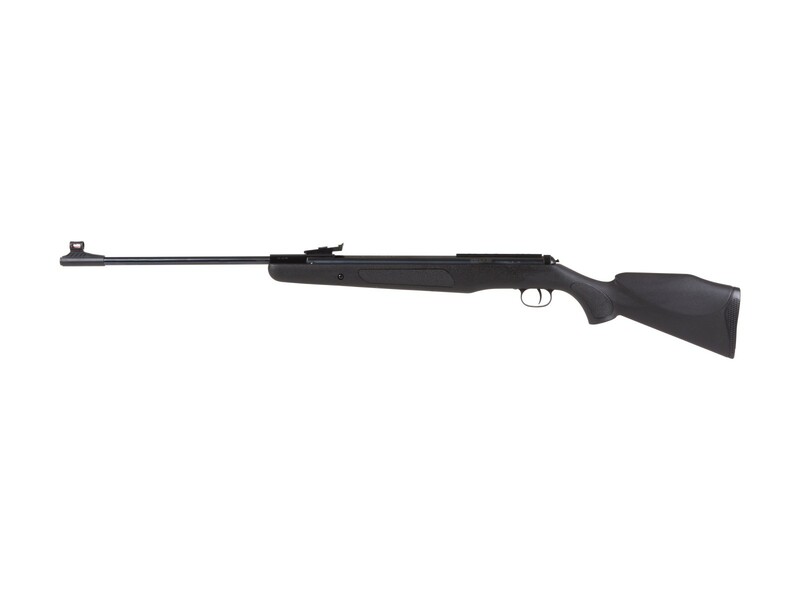 The power is comparable to the Hatsan 135 but with excellent accuracy at long ranges. I spent the money on a good tune job because Dianas in my opinion are the best air rifles on the market , powerful, accurate and super dependable. Cocking effort is heavy. What do you mean by saying that has to be professionally tune and the piston shaft is to small for the piston head ? I had the opportunity recently of putting the D350 N Tec through the Chrony and it’s shooting the Crosman Premiers 14.3 hollow points at an average of 939fps which results in 28 foot pounds of power. I can hit metal plaques 2x2 inches at 55 yards with ease , the N Tec has much less kick back than the regular D350s that have a metal spring. What you get in less kick back from this gun you to pay for in cocking effort. The noise level of the rifle is not loud in open spaces but between backyards it can be noticeable. My gun was tuned to reach this level of excellence, it was well worth the investment. If you have knowledge about these type of rifles you will know that with the power it generates hunting animals the size of raccoons at 20 to 30 yards is accomplishable. Also very accurate. I read that you have to professionally tune this rifle what people mean by that . Tuning usually means having some custom parts made or a tune kit installed which will reduce the vibration and smooth out the shot cycle of the gun. It is not really necessary, but some people like to do it to make the gun easier and more enjoyable to shoot. Can the piston pressure be adjusted to alter FPS as in an HW90?